arrr, so ye want yerself a pirate eh? Even though I live in an Irish wonderland and am constantly trampled by wee little leprechauns, Hubby has recently switched gears and turned my leprechauns into scallywags. While he was so bold to anoint himself captain, he was kind enough to make me his first mate. When I tried to put up a scuffle he said there was only room for one Captain on this ship and it wasn't me. Seriously?? Hmmpf. We'll see who gets promoted to captain when his laundry doesn't get done! So when Captain Billy contacted me about his new book, Cap’N Billy “The Butcher” MacDougall’s Guide to Pirate Parenting, I quickly jumped on board. What better way to handle the pirate uprising in my house then with a little insurgence on the high seas? If you or your child loves pirates you need to check out this book. Heck, even if you don't like pirates, you need to check out this book! I mean, let's be honest. Your kids already smell like pirates don't they? It would make for an easy transition! Plus it is the number four reason for raising your child as a pirate. One down, nine to go! 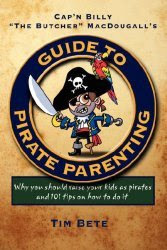 Guide To Pirate Parenting gives you ideas for online pirate dating, turning your minivan into a schooner and even helping your teen pirate resist peer pressure (the pirate way of course!) Have a newborn baby pirate? Check out Cap'N Billy's lullabies for landlubbers. My personal favorite is Rock-A-Bye Pirate. Sigh... I bet that would have put my boys to sleep back in the day! He even helps you convince your kids they want to do chores. What kid would pass up a chance to swab the poop deck? As for this pirate wench? Why ye be able to find me sailing the 'Festering Pillager' from now on with me crew of scurvy dogs. Now go! Be a pirate parent. Yer children will thank ye for it!! Yanni and producer Ric Wake have outdone themselves once again. After two years of hard work, and four of the most new and talented young voices in music today, Yanni is debuting another fantastic album, "Voices". Yanni's new CD features the extraordinary voices of four up and coming young singers; Nathan Pacheco, Chloe, Ender Thomas and Leslie Mills. They sing some of Yanni's classics as well as debuting some of their own new music! 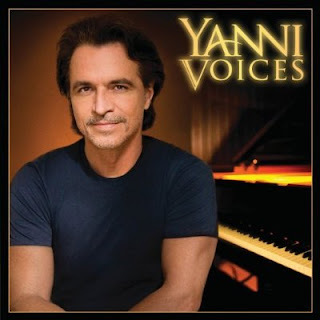 I grew up listening to Yanni and was very excited when he had a new CD coming out. While it is definitely not like his past work, it does have a lot of more upbeat and powerful songs. My favorite vocalist on the album is Leslie Mills, especially her song 'The Keeper'. I fell in love with it the very first time I listened to it. In fact, I hit replay just so I could hear it again! her other song, 'Before the Night Ends' is also truly amazing. If you are looking for traditional Yanni I suggest listening to 'Our Days', 'Orchid' or 'Moments Without Time'. All are beautifully orchestrated and reminiscent of the Yanni of years gone by. Don't forget that Yanni Voices is also touring! One2One Network wants to give you an opportunity to experience these phenomenal singers first hand. You can listen to a preview of these amazing singers and find out when Yanni Voices is coming to a city near you! His "Voices" tour starts April 10 so be sure to get your tickets early! .